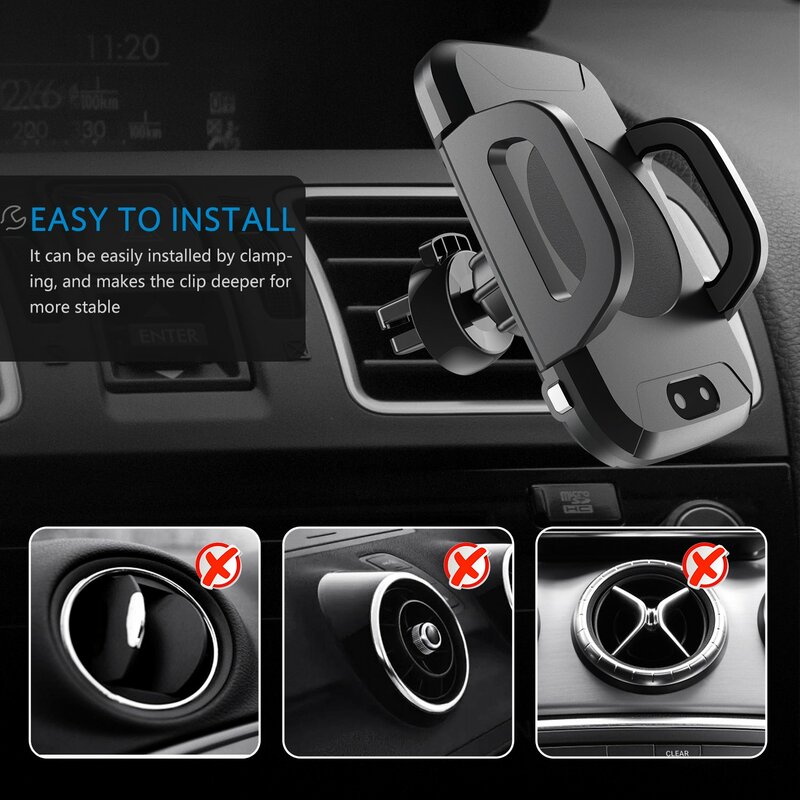 【UNIVERSAL COMPATIBILITY】Fits for all phone with case from 55mm(2.16in) to 85mm(3.35in). 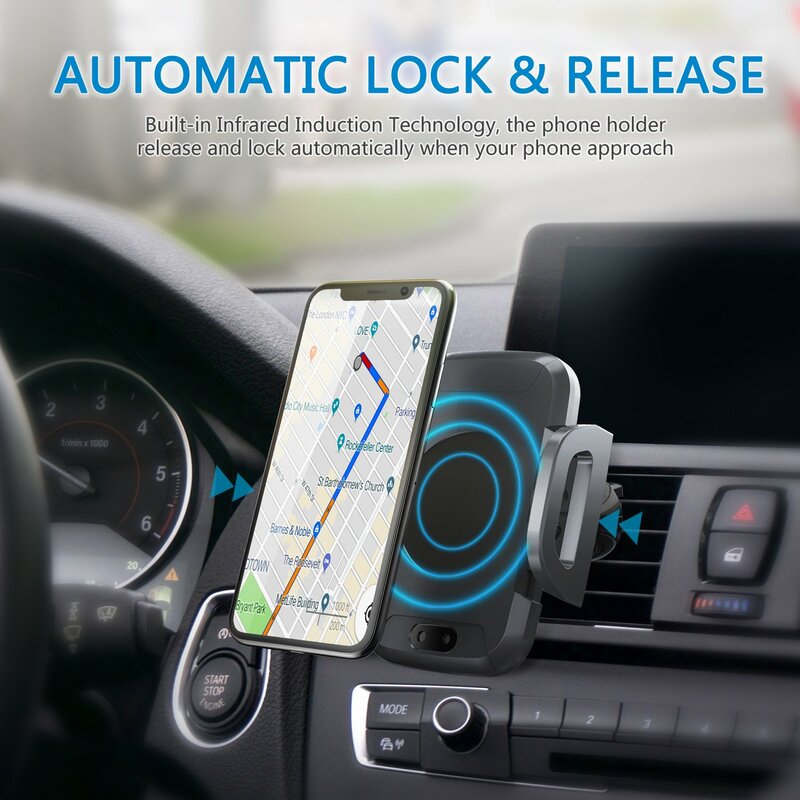 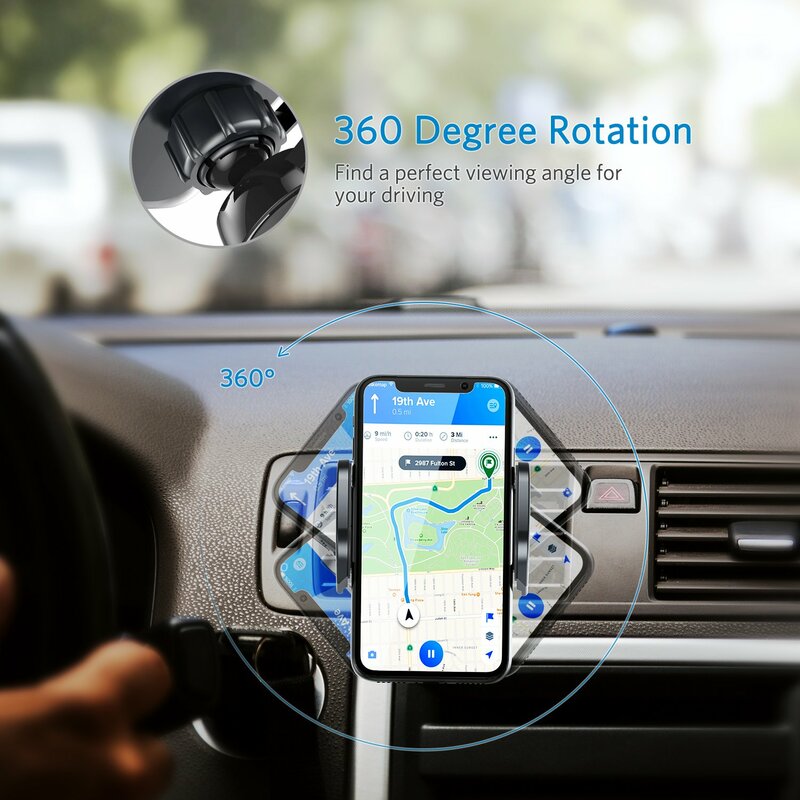 【AUTOMATIC RELEASE & LOCK】Combine with advanced infrared sensing, automatically release and lock the phone, one-hand operation, save time and keep you safe while you're driving. 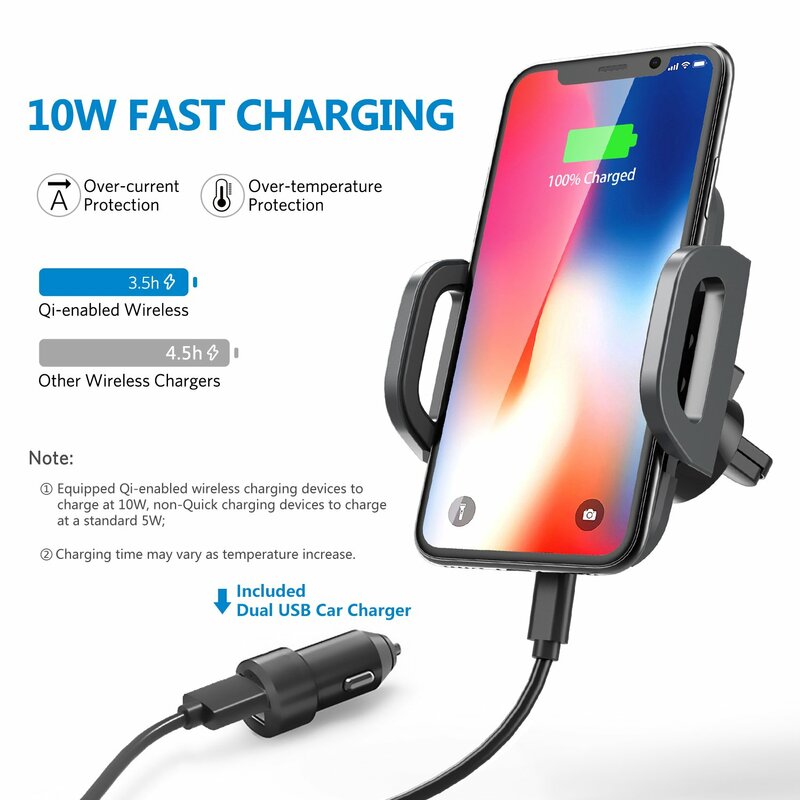 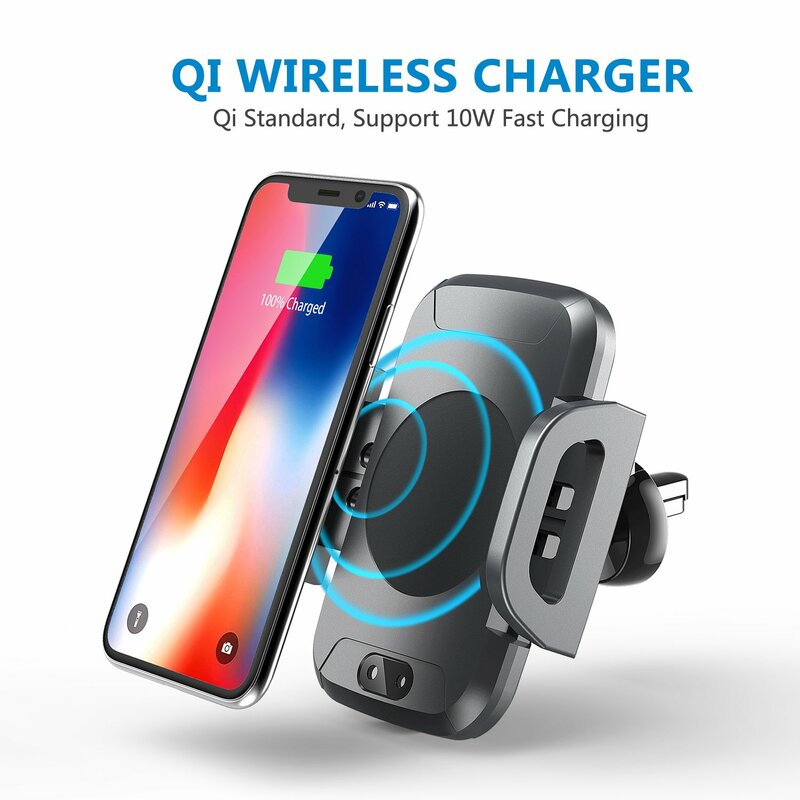 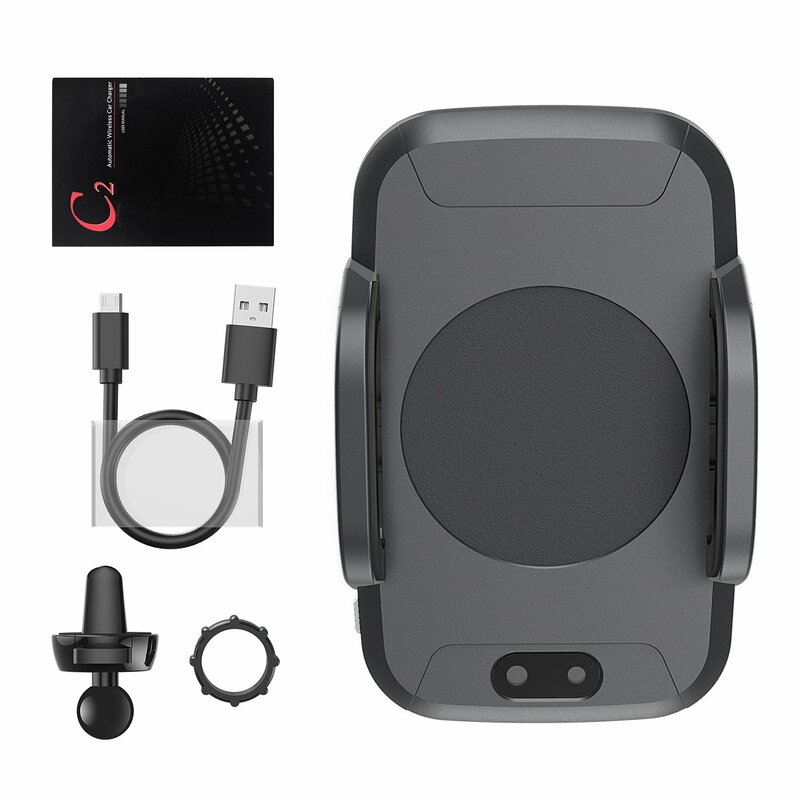 【QI WIRELESS QUICK CHARGING】10W fast wireless charge for the phone with fast wireless charging feature, such as Samsung Galaxy S9 S9 Plus S8 S7, Note 7, Nokia 9, Nexus 5/6. 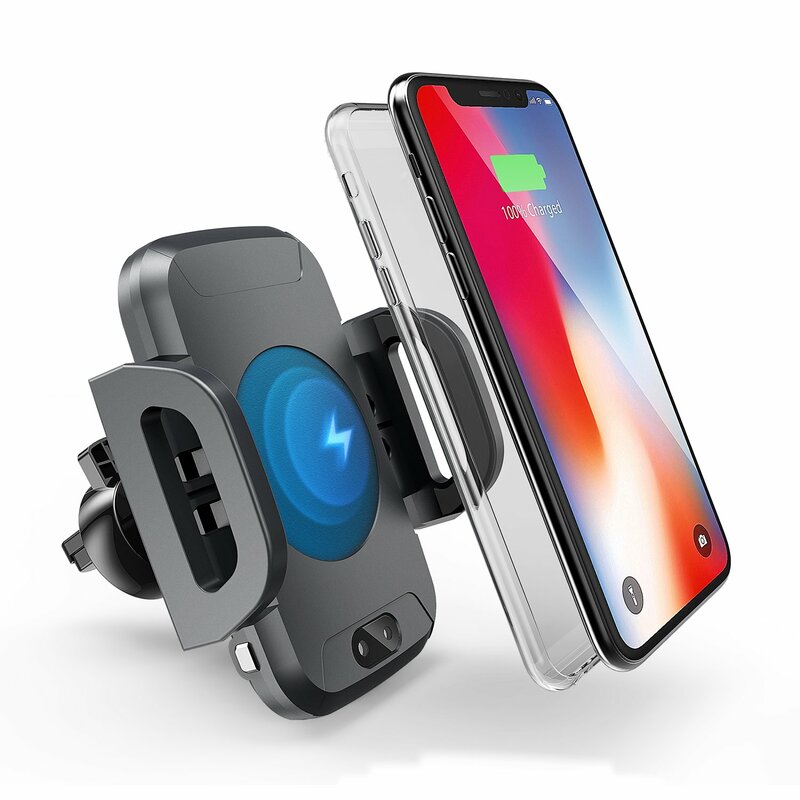 The standard wireless charge is for iPhone X, iPhone 8/Plus, and other Qi-enabled devices. 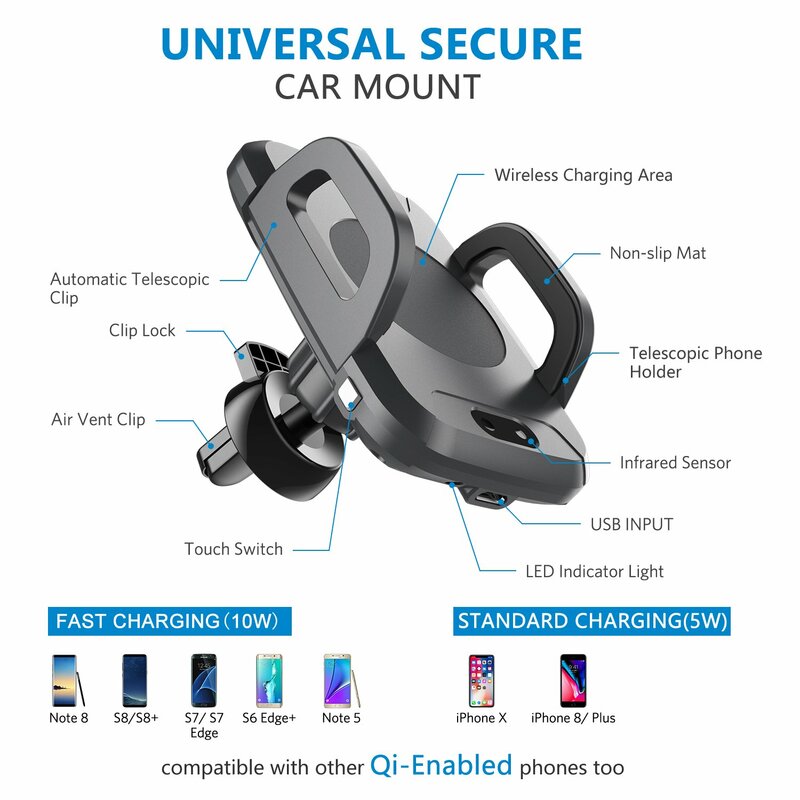 For a better charging effect, please use built-in QC 3.0 dual USB car charger adapter as input power.